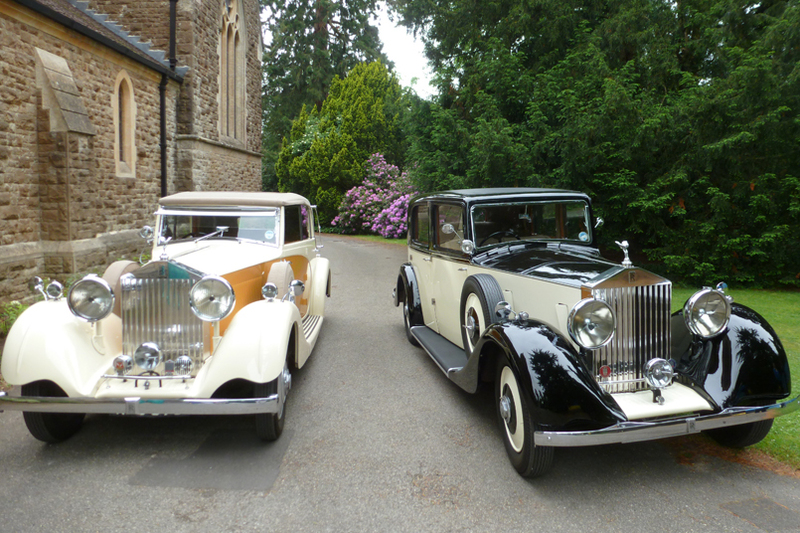 Chauffeur-driven, modern, classic and vintage cars for weddings and other special occasions. Click on each car for images and information about its features. Hartwell Classic Cars is a privately owned company which has built a quality collection of special Rolls-Royce and other luxury cars. Each car has been individually chosen after many months, even years, of searching, to ensure that our cars are some of the best available. Our service to you is of the same high quality. We understand how important this day is and we will ensure that our contribution meets all your expectations. Your chosen car will be valeted and specially decorated with ribbons and flowers to complement your choice of colour. Your chauffeur will be fully uniformed and has been carefully trained to ensure that everything runs smoothly. Your car will be available only for your wedding on your day. If the Church is nearby, we are happy to make an additional trip with the bridesmaids and the mother, at no extra charge. The car will return to convey the Bride and her father to the Church and will remain outside during the service. The car will be available afterwards for pictures and will then convey the Bride and Groom to the reception. Before you make your decision, please contact us to arrange an inspection and to answer any queries you may have. We look forward to being of service to you. Please contact us for a price list or if you have any other queries.